Home » Latest news » BSB Transport Have Expanded, Outwards! 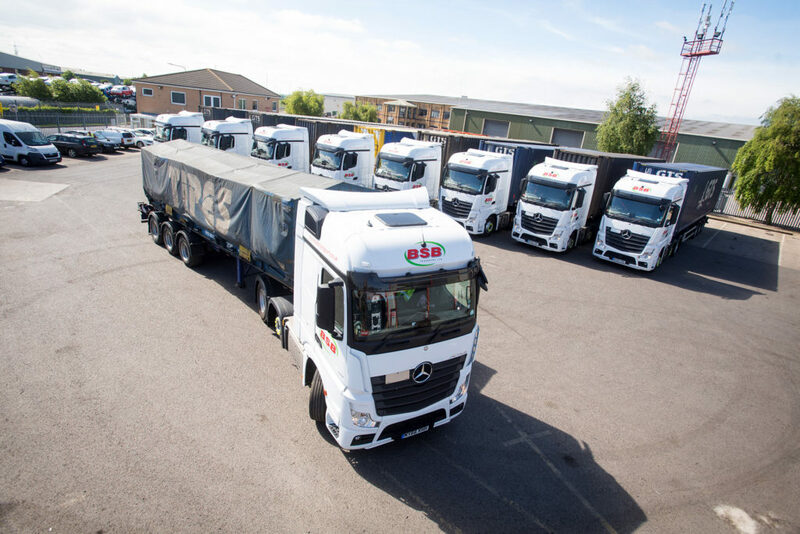 BSB Transport have grown so much over the past few years that we have recently undergone an impressive expansion. We now have a new 4 acre site connected to the main Stallingborough depot. This additional yard is based on the South Bank of the River Humber, and not only enables us to offer container storage and open site storage, but is also the new home of our vehicle wash facility. “This recent expansion is stage 2 of our continued growth strategy. This follows the recent upgrade of the entire 30 vehicle fleet onto Euro 6 technology, working towards a more sustainable future. The new site has a full CCTV security camera operation, a floodlit truck and trailer parking area and 24 hour secured access. So whether you need to store your cargo or transport, you can rest assured that it will be safe in our hands. Our highly skilled team also offer loading and unloading services within this new yard, allowing us to offer a complete end-to-end haulage service. Our sister company Redwood Commercial, who supply Grimsby College with their coaches, have also joined us on the new 4 acre site with their fleet of 100 vehicles. The new site seems to be getting fuller and fuller each day! With the Ports of Grimsby and Immingham nearby, and an extensive motorway network on the doorstep, BSB Transport are an ideal location for your UK haulage needs. We offer competitive rates for long and short term storage, so contact us today for a quote. Use our online quotation form to get a FREE no obligation quote.